GET ADULTS MAKE EVENTS: Logos - non logos? 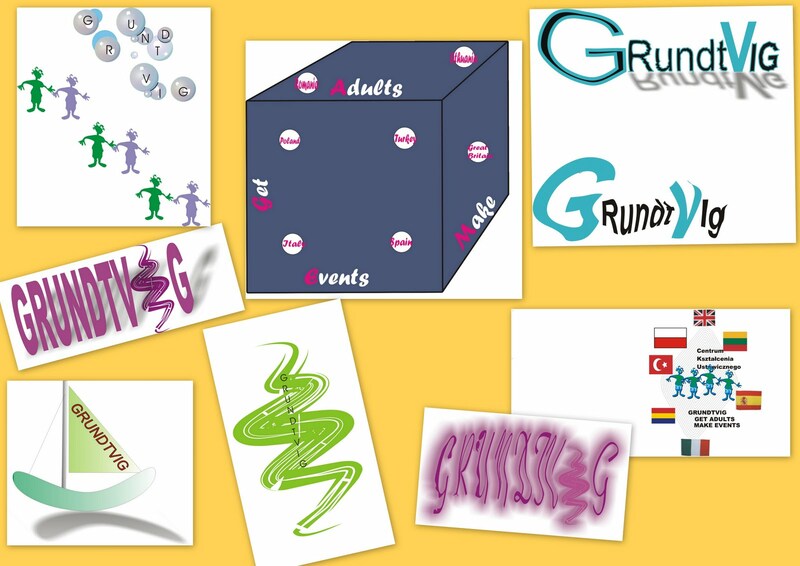 Here are our variations on the theme "Grundtvig logo". Sorry that they are not perfect, but we had been using the Corel programme for the first time. This is what we were able to learn. Some of them are really nice. It's going to be difficult to select one. I don't think so... They haven't got any logo's features.